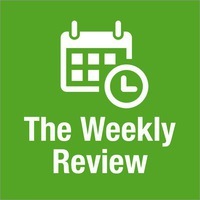 The Weekly Review welcomes its first guest! Aleen Simms, founder of App Launch Map and long-time App Camp For Girls volunteer, has been on the hunt for the perfect to-do list app. She even has a bulleted list of 10 requirements for what she is looking for. Jean and James suggest various ideas and strategies that might help Aleen get the task management life she wants, but we all agree that no app or system fits our needs perfectly. Listeners, if you have suggestions for Aleen, let us hear them! You can reach us on Micro.blog, Twitter, or via email.